New haul!!!! Sorry for the lack of posts on my blog, I’m still trying to figure out what I like doing more, videos or blog posts. I might mix the two and see how I like it. For now I wanted to start posting little hauls again because I did these last summer and really enjoyed it! Soooo this haul is featuring the items I received from Honey Peaches Boutique! They were kind enough to gift me five items to share with you all. Here’s what I picked! I freaking looooove this dress! It’s beautiful! What I like most is the off shoulder portion actually stays off your shoulders. 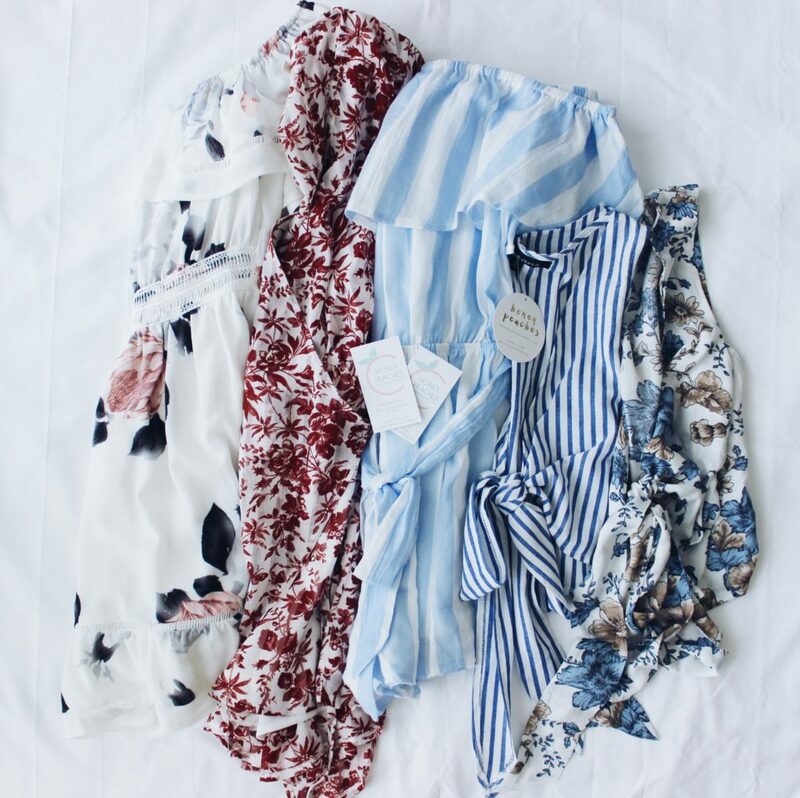 I’ve had so many “off shoulder” pieces that have tight elastic, causing the off shoulder to pop onto my shoulders… haha. This one doesn’t do that at all! The bottom and top are double lined (which is very useful considering the dress is white) and I don’t even have to wear a bra with it which is a super plus! Loving this piece. 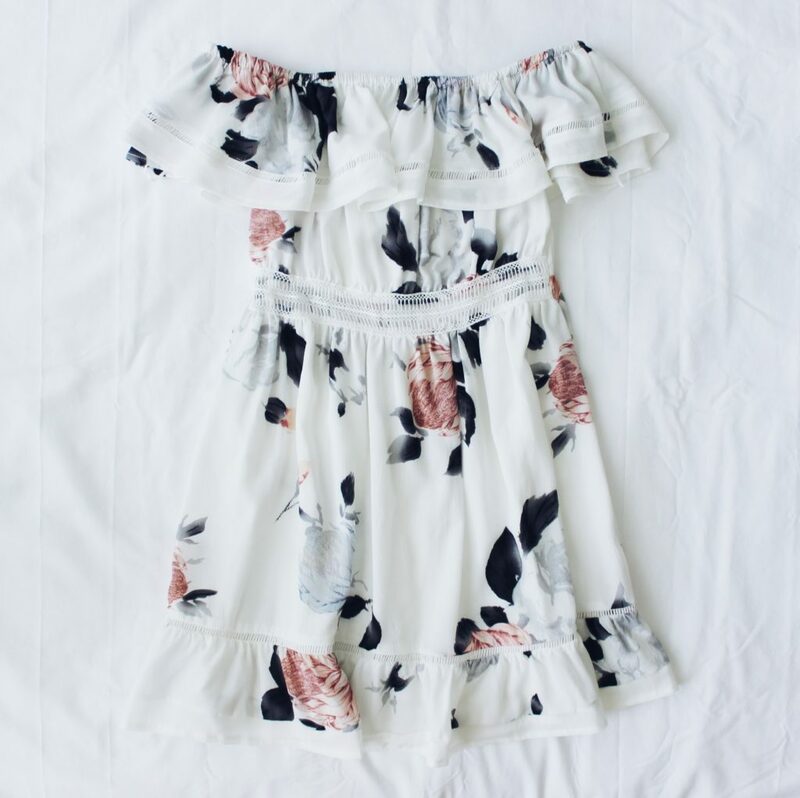 This piece looks like a dress but it’s actually just a super flowy romper! The top is a wrapped style, so I wore a white bralette it and loved the way it looked. 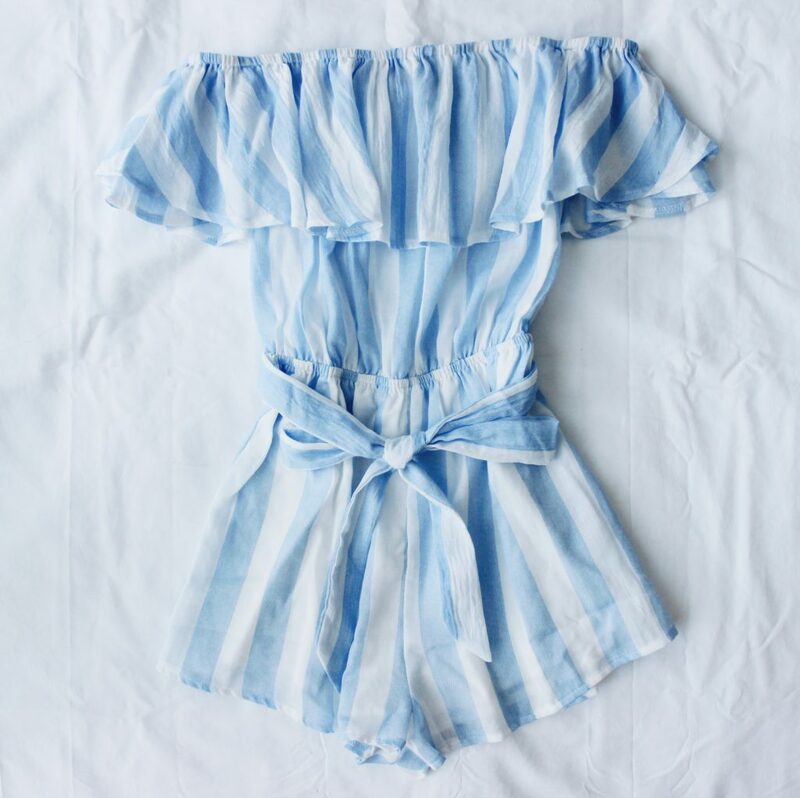 This playsuit definitely gives me some Hawaiian vibes! Now that I look this piece up again, I realize it has matching bottoms. Why did I not get the matching bottoms?! Haha. 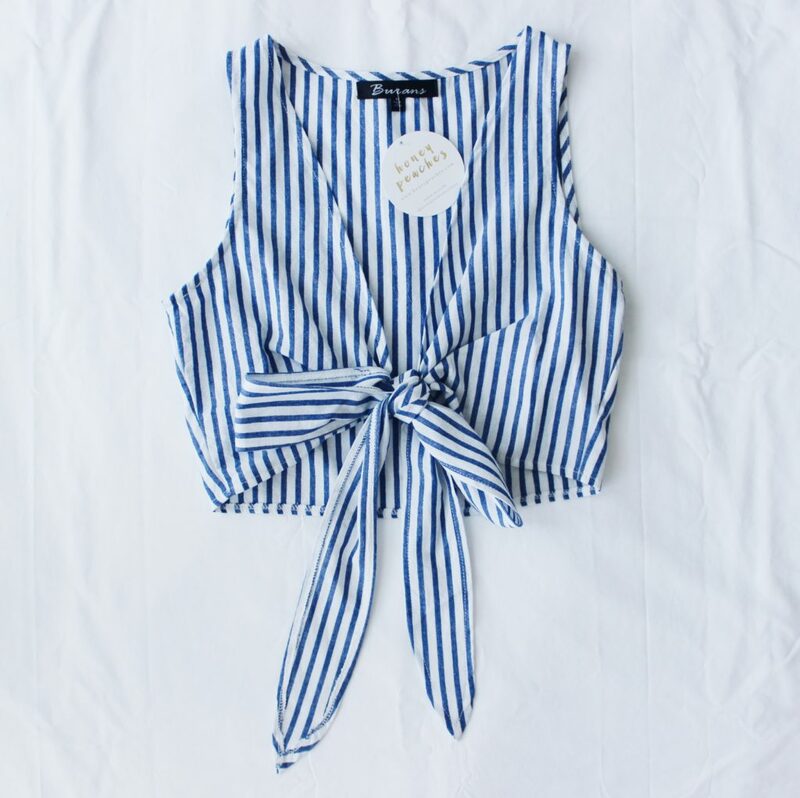 This top us adorable and super on trend right now with the tie in front of my belly button. I went braless for the sake of these photos, but I would probably opt for a light/white bralette underneath. I would also wear a long dainty necklace. 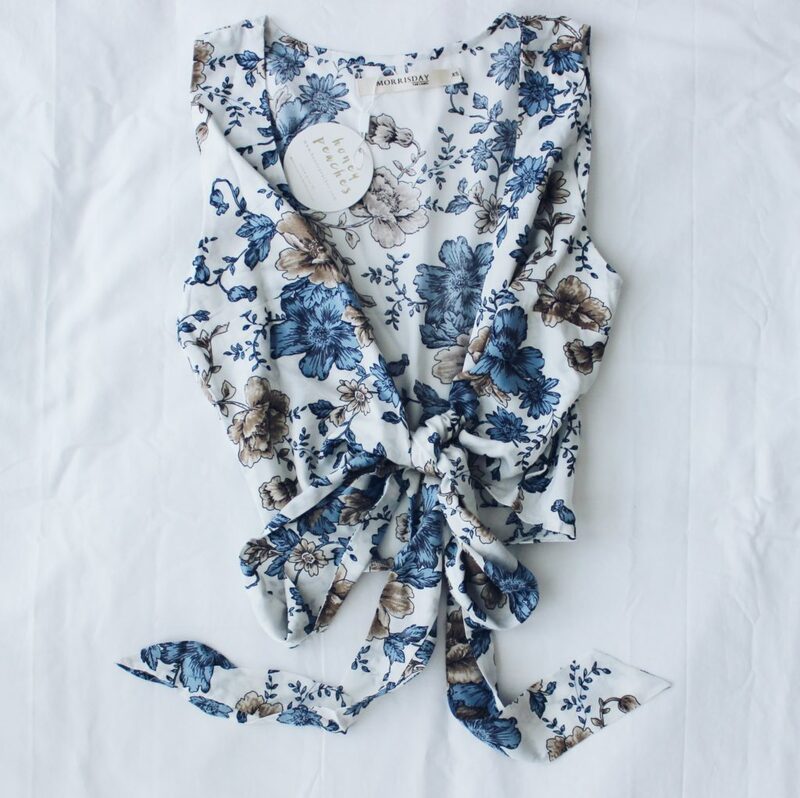 I should probably buy one of those… Anyway, this top is adorable and great quality. I highly recommend! 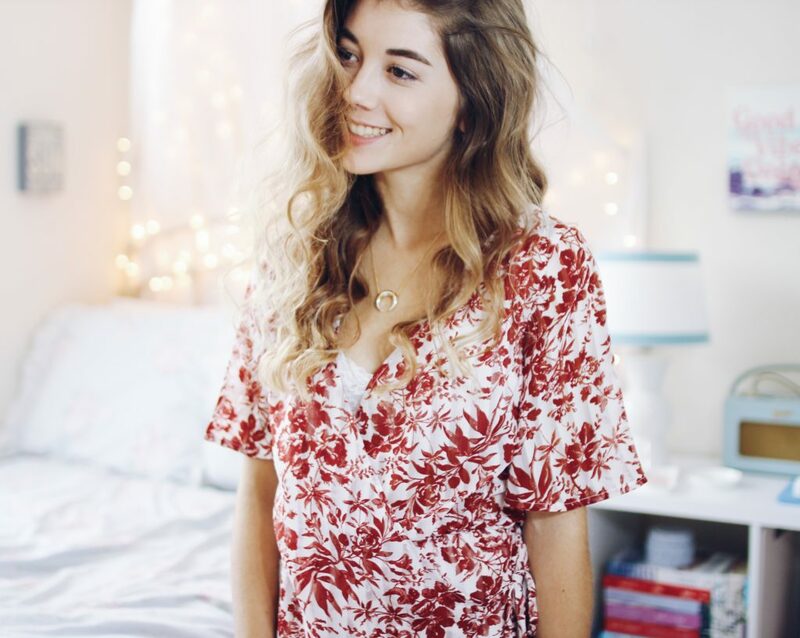 This top is similar to the previous one in regards to style. This one is thinner and softer! Like I said before, I would probably opt for a cute bralette under this one as well. 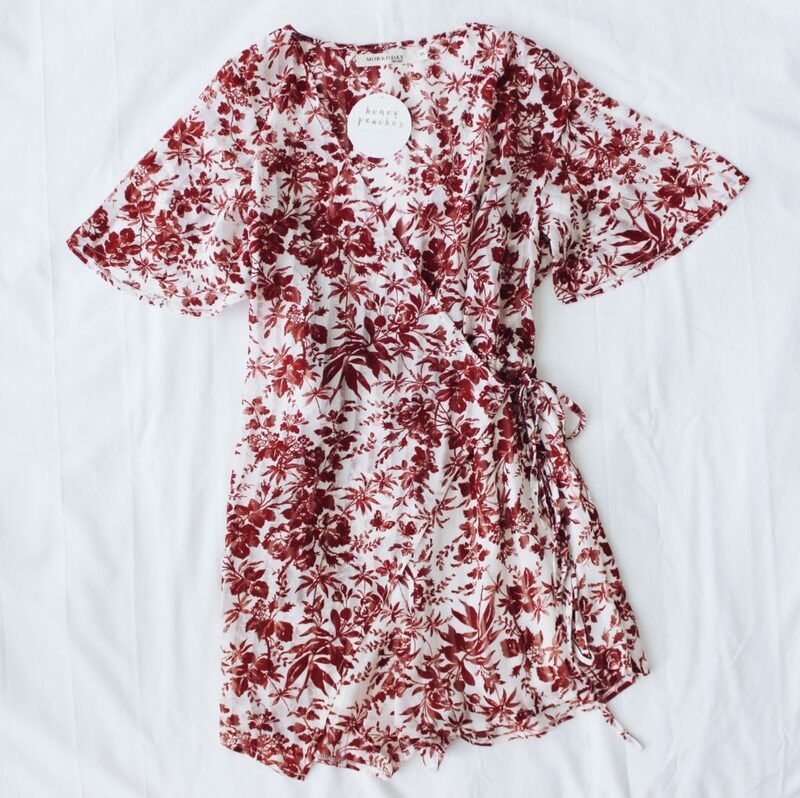 This top would also be perfect over a blue or white bathing suit top!